Coates Sports Management camp is for players of all positions. Coates Sports Management has invited top players from around the United States. This Pro camp will have scouts and coaches from France, Germany, England, Finland, Switzerland, Denmark, and Norway looking to sign quality players. Coates Sports Management specializes in finding top talent from Division 1, 2, and 3. Our company is holding this Basketball Camp to give players the utmost exposure so they may sign Pro Contracts for next season. This camp is being held at a top basketball facility where the NBA Boston Celtics hold their camps. The camp will be run professionally on every level. We will only be accepting 80 top players to attend our camp. We are having 8 players maximum to a team; this is to insure equal playing time. 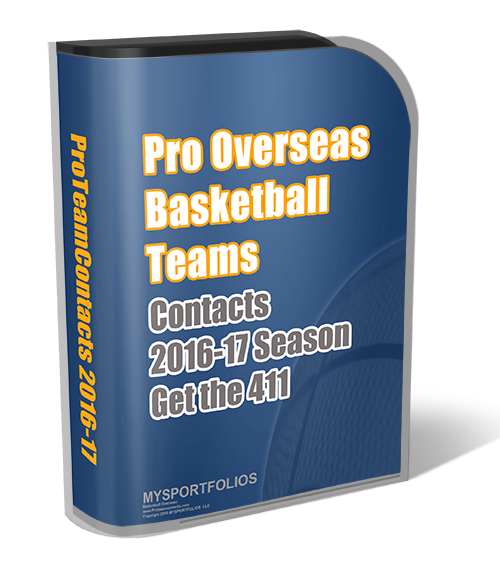 Each team will be coached by an overseas scout or by Coates Sports Management personal. All games will be refereed by top high school and college refs. Each player will play between 2-3 games daily. There will be an All-Star game at the end of each day. Top players of the day will be invited to attend this game. Players will be assigned to a team roster that will also display their college attended, positions played, and jersey number. All scouts will be given team rosters for recruiting. Each player will have organized game schedules given to them on arrival of camp.